Many people dream of total independence. They believe that they determine their own reality and belong entirely to themselves. The dreamers believe they are like birds flying in complete freedom because they aren’t restricted by the path of others before them. With big eyes they spread their wings into the open air and dream of being totally independent from God and from man. “But Jesus had a word for people who thought that way. He said, “You will know the truth, and the truth will set you free.” But they responded, “We . . . have never been enslaved to anyone. How is it that you say, ‘You will become free’?” So Jesus answered, “Truly, truly, I say to you, everyone who commits sin is a slave to sin” (John 8:32-34). The divine purchase all began in the manger. 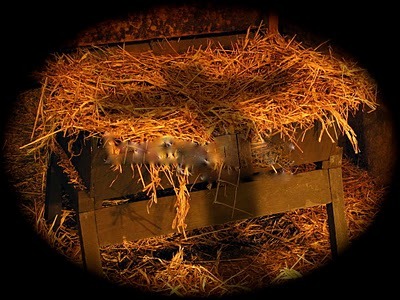 It was in the manger that our freedom began. The God-man, Jesus Christ, came to purchase our freedom not to give us autonomy from God, but to give us a new life spent in relationship with our Creator and Savior. In what way does sin seek to enslave us? In what way are we free in Christ? Thank God for giving you freedom in Him.